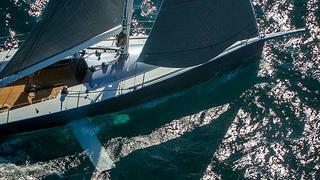 Exciting news from Danish Yachts as they join forces with Infiniti Yachts to build 'ultimate' sailing yachts. This new joint venture is the result of a 6-month cooperation between Danish and Infiniti to finalize their plans to produce Infiniti sail yachts together. The first one is scheduled to be the Infiniti 100S. Final stages of engineering are already reached, and even if a launch date is still unknown for the moment, her construction should start in the second quarter of 2013. The Infiniti 100S will feature the Dynamic Stability Systems technology (DSS). Already tested on the Infinity 36GT, this revolutionary technology has proven its efficiency. This lateral retractable foil reduces the pitching and the displacement, increases the Velocity Made Good (VMG), and improves the comfort, stability and performances. Patrik von Sydow, CEO at Danish Yachts, commented: 'We are very much looking forward to moving into the second phase of build for these performance sail boats with Infiniti Yachts'.